Virginia Beach, Virginia's Arsis, a standout in the technical, melodic death metal genre, has signed a worldwide record deal with Agonia Records, excluding North, South and Central America, in which the band will be released by Nuclear Blast Records. Arsis has entered Audio Hammer Studio in Florida in late 2017 with producer Mark Lewis (Whitechapel, Devildriver, Cannibal Corpse) to begin work on their sixth studio album, follow-up to Unwelcome (2013). 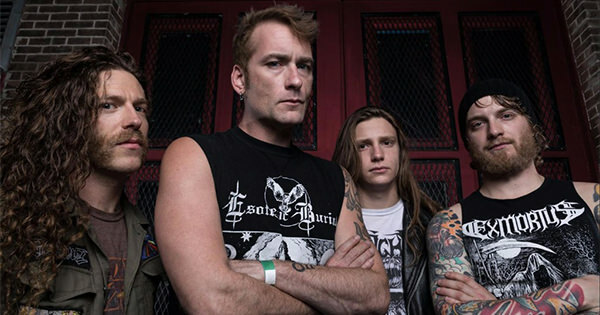 Arsis co-founder James Malone (central figure in the photo) commented: "We are really excited to have found a label partner outside of the Americas. Agonia works with some great bands and we are pleased to be working with them moving forward. We look forward to reaching some new ground with a new record in 2018. Stay tuned for details."